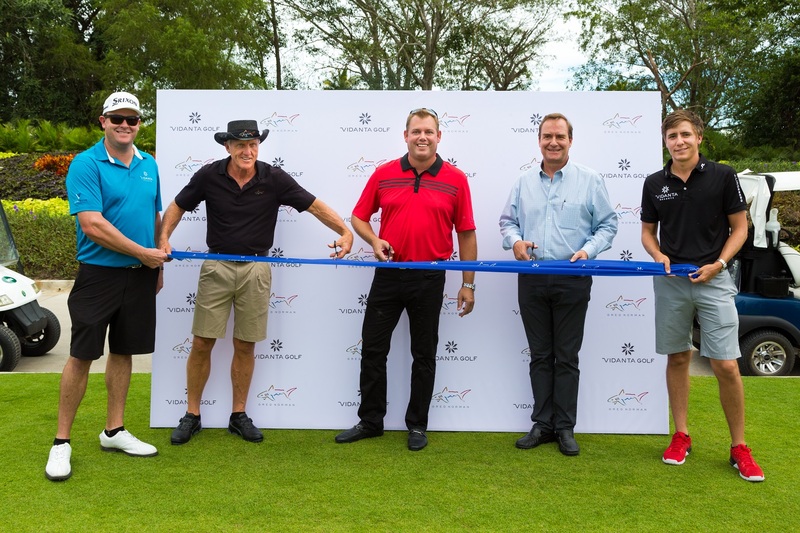 Vidanta Golf, subsidiary of vacation destination brand Vidanta, along with KemperSports, the leading golf management company in North America, celebrated the grand opening of the Norman Signature Golf Course at Vidanta Nuevo Vallarta, Riviera Nayarit on November 14, 2016. Mexico’s leading developer and course operator, Vidanta Golf partnered with internationally-recognized golf legend and course designer Greg Norman to build the championship course. It joins the renowned Nicklaus Design Golf Course as the expansive destination’s second golf venue, allowing guests the unique opportunity to play courses in both Nayarit and Jalisco while at Vidanta Nuevo Vallarta. Open for preview play this summer, the official grand opening was celebrated with a ribbon cutting ceremony, clinic and question and answer session with Greg Norman for guests at Vidanta Nuevo Vallarta. Located in Jalisco, the Norman Signature Course is accessed by the world’s longest golf cart suspension bridge from Nayarit spanning over the scenic Ameca River. The signature course encompasses the finest in golf with unsurpassed course conditioning on wall-to-wall Paspalum playing surfaces. The exciting layout winds along the banks of the Ameca River providing views of the Sierra Madres from every hole. Generous landing areas give way to large undulating greens protected by cavernous bunkers. Indigenous trees, native grasses and jungle surround the core course layout which is uninterrupted by housing and civilization throughout. Playability and enjoyment were key in the design process for this 18 hole par 73 that is as challenging from the championship tees as it is forgiving from the forward tees. The debut of the Norman Signature Golf Course caps off a stellar year of recognition for the Vidanta Golf portfolio. Vidanta Nuevo Vallarta was named a “Silver Medal Resort” by Golf magazine in June. For more information on Vidanta and Vidanta Golf, visit www.vidanta.com or follow on social media @vidantagolf.